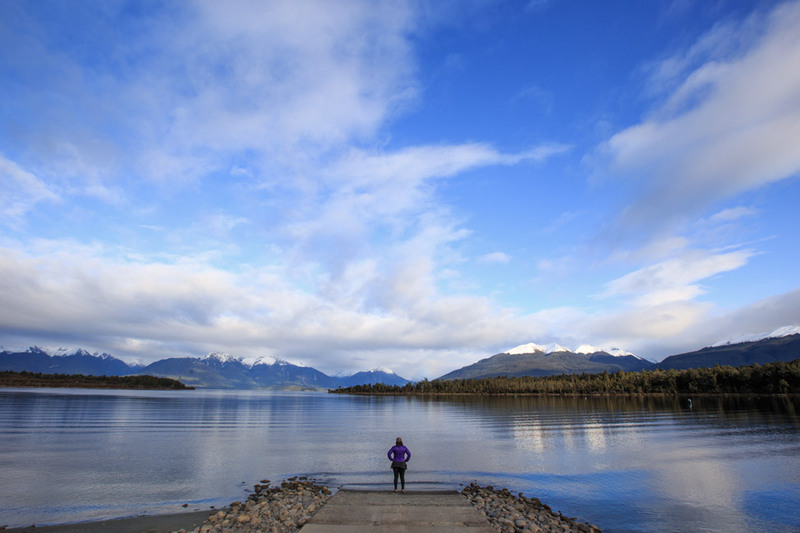 On day six of our seventeen day road trip around the south island of New Zealand, the alarm rang well before dawn. Pete, the instigator behind this early rise and he-who-would-be-blamed-for-all-ensuing-grouchiness, sprung out of bed to crank on the heat. He quickly but quietly rustled around to get everything packed away, gently rousing me out of bed at the last possible moment. I shrugged on some clothes, a headband to cover my matted curls, and slipped into the passenger seat. We were fifteen minutes from our destination, that which Pete had been longing for since our arrival to New Zealand a couple of months prior. Our two month house-sitting job gave him plenty of time to scour through images online and harass our local friends for advice on where to spend each of our precious road trip moments. Seventeen days may seem like a lot to explore just a little over half of the land mass of this small country, but it’s really not, and some regions had to unfortunately be entirely cut. But the Moeraki Boulders were to be one of his highlights. 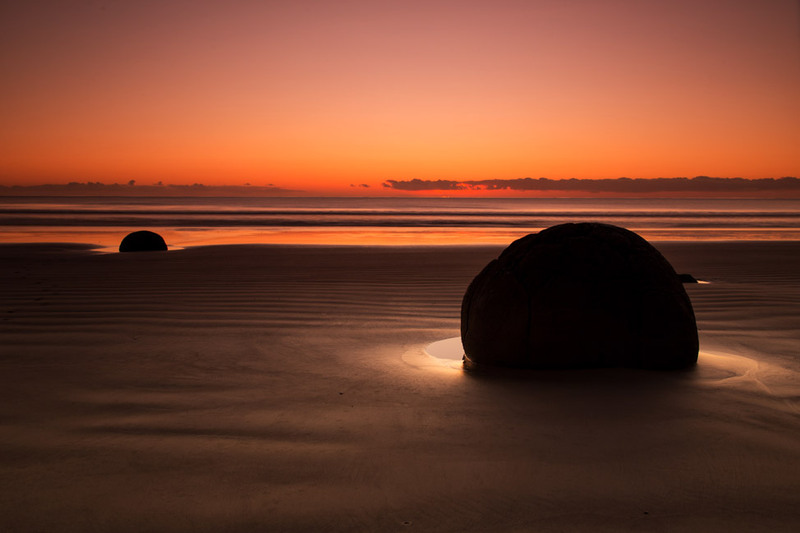 They are an odd sight – grouped together on a stretch of Koekohe Beach – the boulders are scattered, unusually large, and many are perfectly spherical. Pete was eager to capture the early morning sun rays cracking over their surface. I ain’t an early morning riser by any means, but I wasn’t about to rob him from this experience. But as it turned out, this morning was one of my faves too. Who knew that a sunrise could be so magical? Oh, probably just everybody but me. Seventeen days may seem like a lot to explore just a little over half of the land mass of this small country, but it’s really not. The early wooing out of bed, negotiated the night before, came with the promise of a bit of pampering after the photo shoot: a full breakfast, a bucket of coffee, and the allowance for a brief nap before recommencing our day. And the best thing about our situation, that we would realize over and over during this road trip, was that we could do this all entirely at our whim and within the comfort of our vehicle. 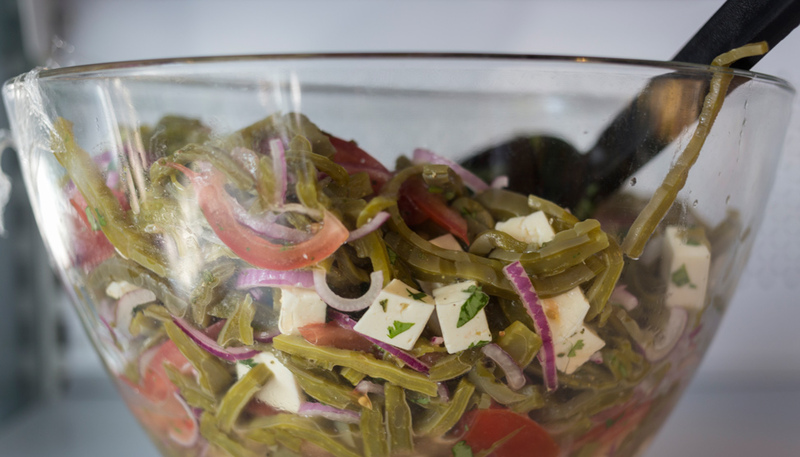 We could park our cozy camper van wherever we chose, whip up whatever we would like to eat, nap without worry of meeting a check-out time, and then be on our way. That morning, with our memories (and photo memory cards) brimming with the charismatic skies and rays of sunbursts around the mythical rocks, we walked past the restaurant that wasn’t open yet and into our camper. I unrolled the blankets and snuggled in for a quick rest while Pete handed me cups of coffee and a hot breakfast sandwich. 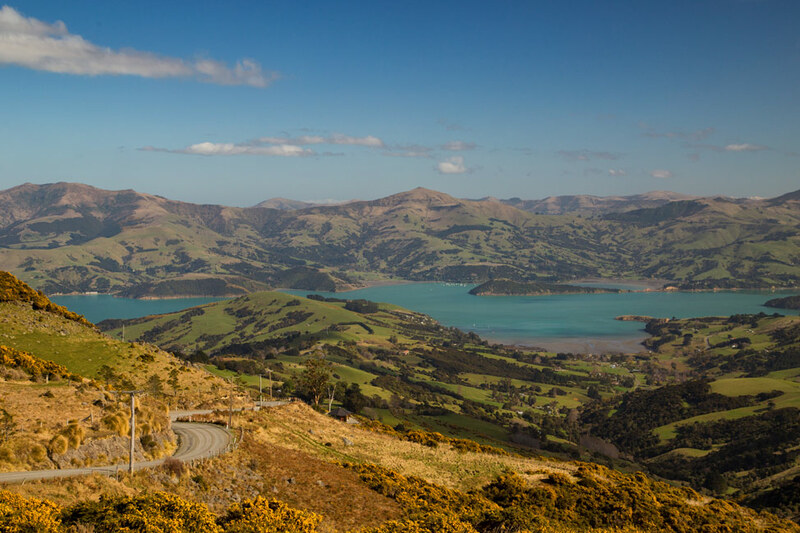 From there we hit the road for a long drive to Akaroa. Pete had chosen this sleepy town for a night’s stay based on the random comment of a friend; we hadn’t anticipated at all what a stunning drive it would be. Such days became symbolic of our seventeen day road trip, turning into equally terrific nights filled with nothing but the ring of silence and the bling of stars. We took spontaneous sidetracks into new towns, enjoyed blissful days offline here and there, and relished in an overall reconnection with a purely natural environment. This is something we do not do often enough. 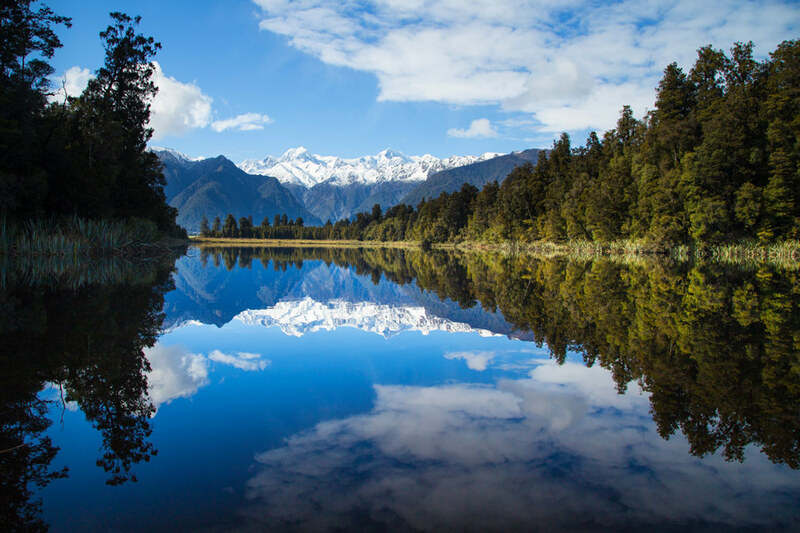 All of this in beautiful New Zealand, no less, where we found ourselves completely enraptured on a daily basis in environments so varied that it was hard to believe that they were all on one tiny island. As this particular trip was designed by the photographer of this duo (Pete, of course! ), it became one in pursuit of epic scenery. It was not about food (hot dogs are all you need when camping anyways) and it was not so much about cultural immersion. It was about the big shots in the big places. We spent many hours in the van, darting in all directions on a quest for the very best landscapes that the South Island has to offer. This trip was about the big shots in the big places. I have always wondered if we are camper-types. It seems that it would be a natural progression, giving us at least a piece of our own space after living out of our bags for over the past six and a half years. 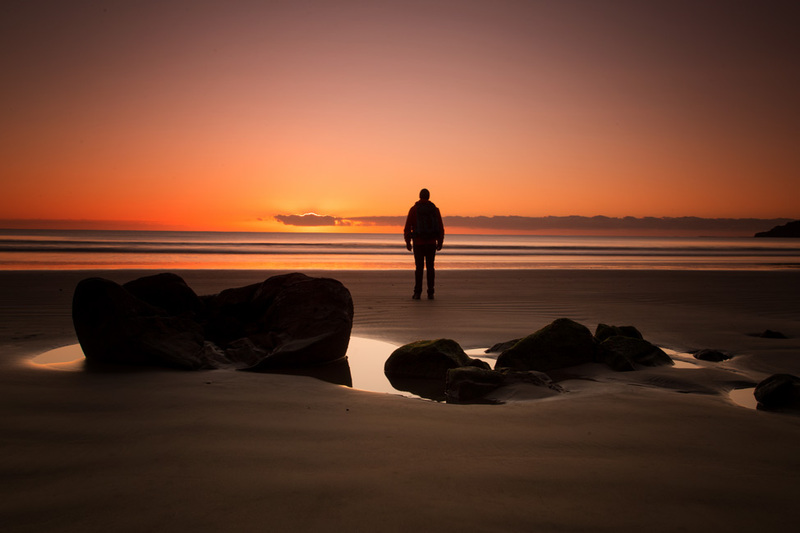 Given our addiction to newness, the idea of waking up in a fresh place every day has immense appeal. New Zealand is a pretty perfect spot to test such a concept, as the country crawls with camper vans and is well set-up to handle it. 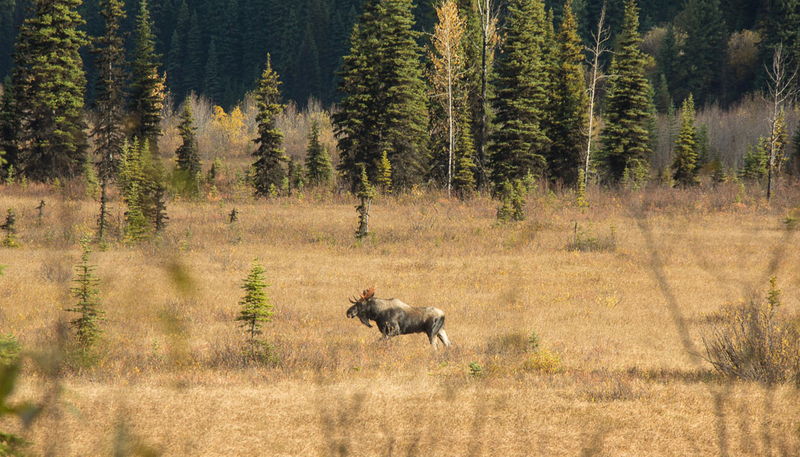 We loved that we could rough-it or luxuriate-in-it as much as we please – which meant going from freedom camping in the wilderness to the well-appointed campsites throughout. We even took a turn glamping at the Carrick Winery – we parked our camper in a strategic space with frosty valley views, sampled their finest wines, and took away a gourmet picnic dinner. Most typically, we chose our stops based on the mood that struck us that day. We also cooked or dined out as we pleased and pulled over to get work done whenever we needed to. And where we parked almost entirely depended on the view that we could enjoy while we sat still. I can’t think of one other scenario that would allow us such freedom to choose daily if we would rather be inspired by a mountain or valley view. We were really never left wanting for anything. 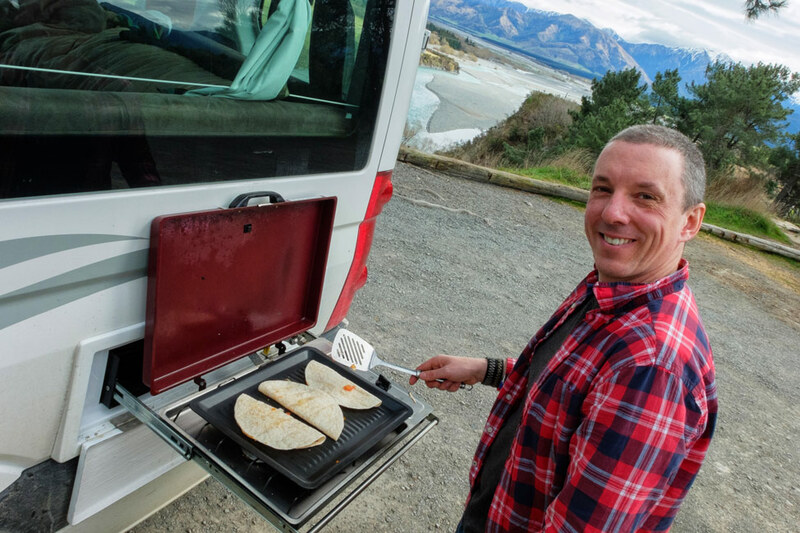 On a whim during our longest driving day, as we cruised along the Lewis Pass from Kaikoura to the west coast, we turned off towards Hamner Springs to satisfy a craving – we wanted quesadillas and needed to hit a grocery store. On our way in, we noticed the perfect spot for lunch that we would hit on the way out. While I chopped veggies, Pete fired up the grill and set up our table. Other tourists stopped at the lookout, snapped a few photos, jokingly asked if we had extras to share, and left salivating to find a restaurant. If we were on a bus tour, we wouldn’t have had the option to stop and grill. If traveling by car, we would have been those jealous ones who left with a couple of photos and a rumbling stomach. We realized in that moment, and in many others, that this really is a perfect way to see a country from all angles and without constraint. Yeah. We could see ourselves choosing this as a lifestyle. Most typically, we chose our stops based on the mood that struck us that day. The only downfall, if I can even record it as such, was the minute lack of freedom between us. Not that we ask for much – we are quite used to being together 24/7 and most often want the same things. But if Pete wanted to get up at sunrise (which he did many times, and which I wasn’t always thrilled about), I had no choice but to do so as well. How dare he force me up to enjoy the dawn of a new day? The nerve. It’s nothing that couldn’t be fixed, however, with a good cup of coffee and a doze in the front seat while he drove us to our next destination. 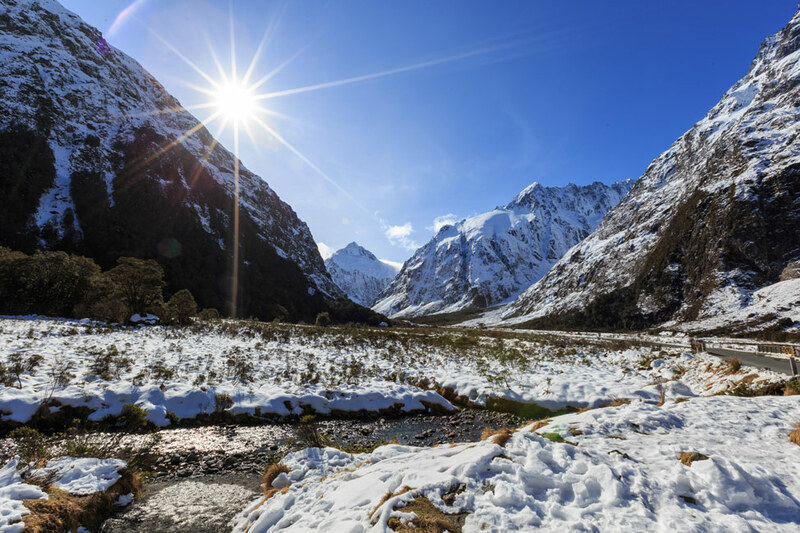 New Zealand is a popular place for camper van travel and there are plenty of rental companies to choose from. 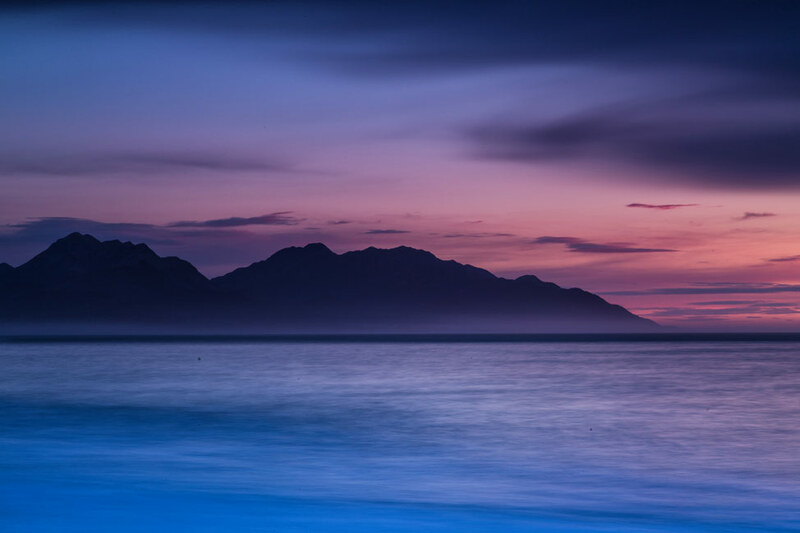 Maui Motorhomes was recommended to us by a friend and we were so glad we reached out to them. Our camper van was spotless, well-stocked with everything we would need on the road, and easy to operate for these newbies. And it so happened that we had to test their service on our first day when we discovered a slow-leaking tire. 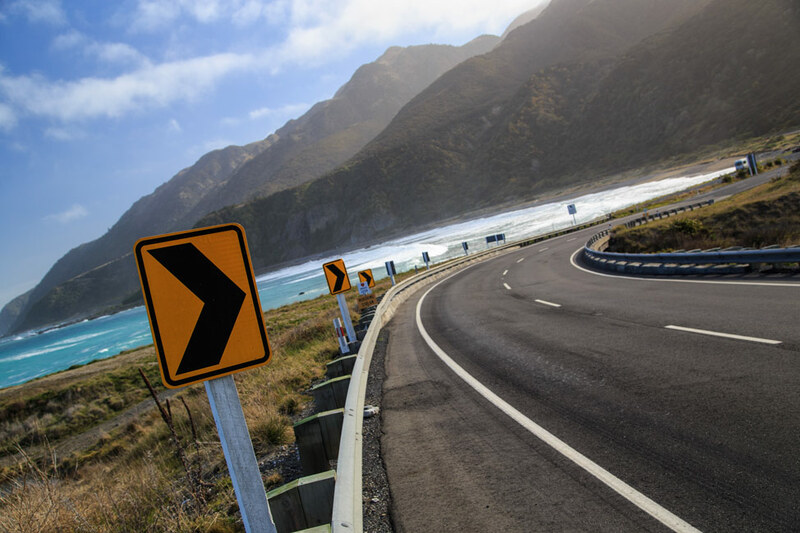 We were in a sort of off-beat location but it was still easily handled – their roadside assistance had us in a tire shop and on the road in about 20 minutes, which was far better than we expected. And when we left one of our power cords in the van, a representative tracked us down at the airport to return it. Now THAT is service. UPDATE: Maui Motorhomes has offered a 5% discount to our readers if you use the code GOBYCAMPER when booking! Follow the link below to get started. Many thanks to Maui Motorhomes for providing us with the complimentary rental for this journey. All opinions, as always, are our own. 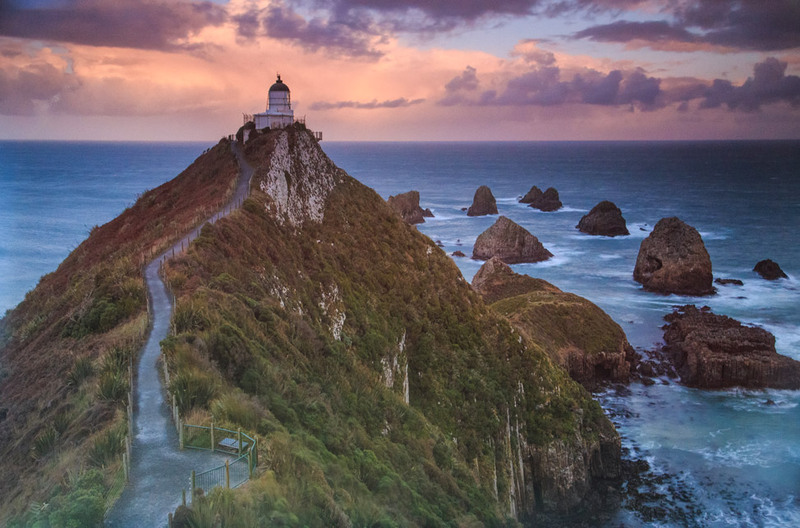 Ohhh man these pics are just stunning and I can’t wait to go back to New Zealand one day. Im somewhat obsessed with it and always want to return (to see Moeraki boulders for example, which we missed before) … I just got home sick from work and snuggled into bed, but reading this story made my day a while lot better all of a sudden! Agree photos look amazing! Take them yourself Dalene?? Between myself and Pete, these photos are all ours! 17days!! Wow!!! I took a month to explore the North Island and there are still things I didn’t get to see. I traveled by bus and stayed in hostels…there’s tons of them, as the Kiwi’s like to travel too, but I couldn’t get into driving on the wrong side of the road + the turn abouts…! Anyway, sounds like a great trip and I will return to NZ at some point. Pete those photos are really good! Hope you’re doing something with them besides filling up those flash drives! 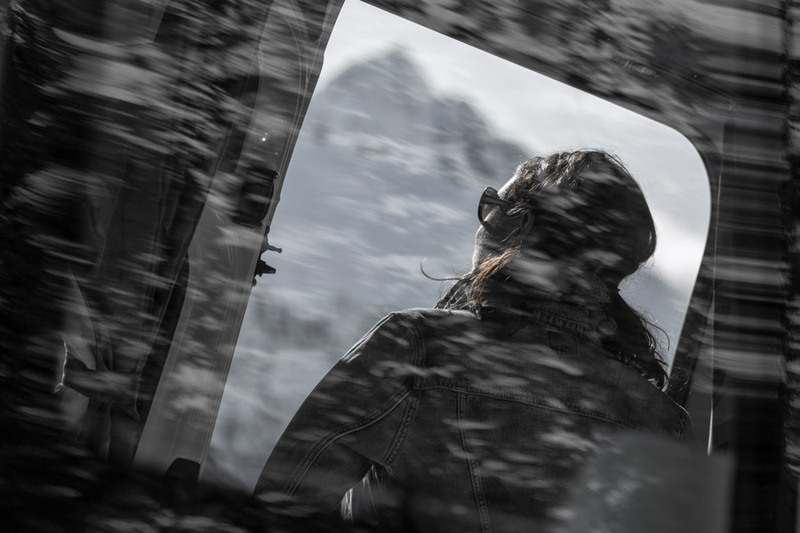 Looking forward to your next adventures….? Awesome photos, guys! It looks like you had such an amazing trip. 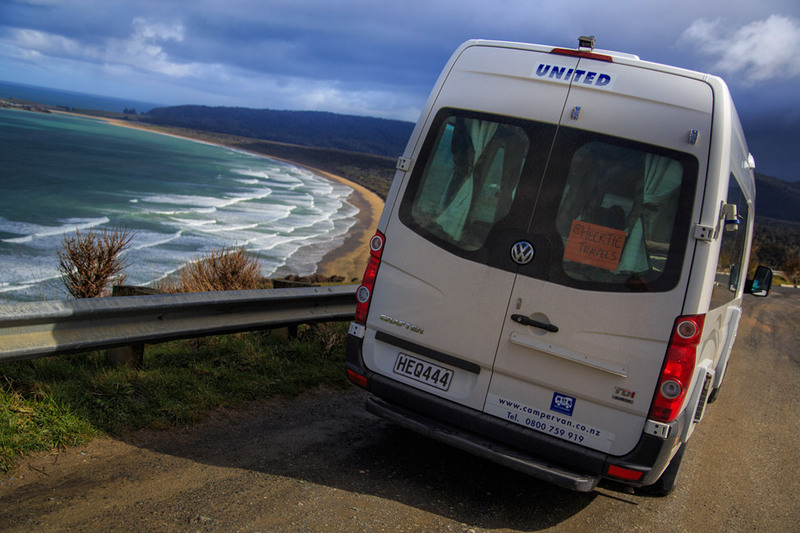 Makes me want to get a campervan again (we had our own one 3 or so years ago) and go around the South Island again. Spectacular! Good thing you weren’t travelling in summer because you may have had less freedom in terms of where to stay – everywhere gets so busy. Glad you enjoyed it! We SO want to do this! Our big plan is when we return from a year abroad to travel around the US looking for a place to settle. We are currently in Seattle, WA but feel like there is more our country has to offer and may want to plant roots elsewhere… IF we decide to plant roots 😉 I think it would be a fun adventure getting to “try on” different cities as a local and not as a tourist. 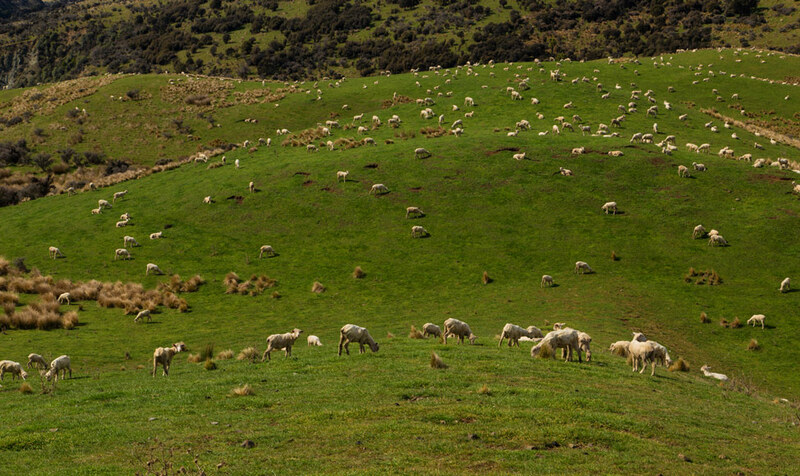 Of course, a trip like this in New Zealand would be amazing too! Thanks for sharing your experience and story! As usual, stunning! The camper trip is on not only my, but also my husband’s wish list. So I’m hoping that it really happens someday. Since we’ve been married 30 years and also work together, I hope that we can do this with the same success you seem to have had. And I, too, will have to negotiate those early morning risings as well. I have been researching camper vans, trailers & RVs like crazy over the past several months. After years of traveling overseas I’m ready to hit the road & explore my own country, the US, while living on the road. Just like all travel, it sounds so romantic, but I know the reality will definitely have its downs along with the ups. Still I can’t seem to shake the idea. So hopefully I’ll make it a reality sometime soon! We really want to do this in the US someday as well! 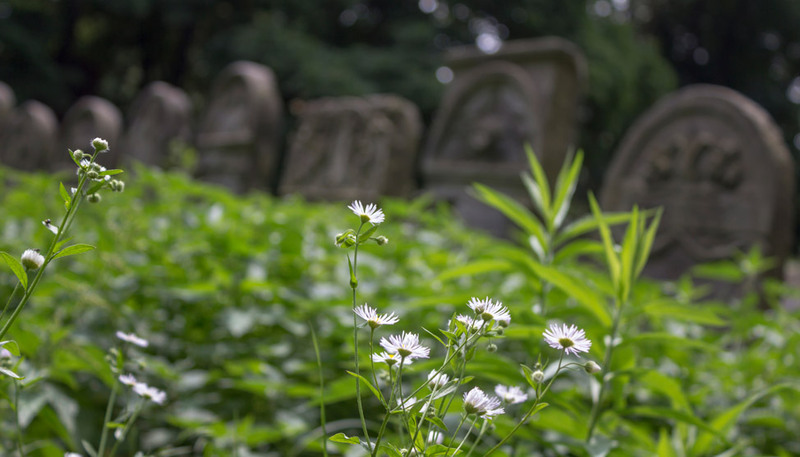 I love your blog and your pictures are outstanding! So nice to see what other countries look like. New Zealand is beautiful. I hope to get there one day! Despite how many trips I’ve made to New Zealand, I have yet to have the typical NZ tourist experience of traveling around in a camper van! Definitely on my list, though (and how adorbs is that grill?!?). What?! It’s a must do! Nice write up, and fantastic pics. Man do I love New Zealand. More importantly: Yes! I totally recommend the camper van life. Yesterday we hit the two year mark for traveling (11 months of it in our van) and I totally agree with you on the freedom, flexibility, and (for us) ability to carry gear like mountain bikes and backpacking equipment. There are ups and downs, but your skills with navigating the world will serve you well. And you can always park it and go house sit somewhere awesome, or pursue other adventures. We’ve done that and it helps keeps things fresh and new. Will definitely be hitting you up for advice Dakota! Congrats on your two years!! New Zealand is even more interesting now. Every time I read one of your articles, check out pics and the how to……….I am in amazed. You continue to surprise and entertain me. You keep me glued to my seat waiting for the next incredible images. You live the life that many would if they could figure it out. I love how you look at life and share it with us. Thank you for keeping me in “Awe”. Ro – thank you so much!! 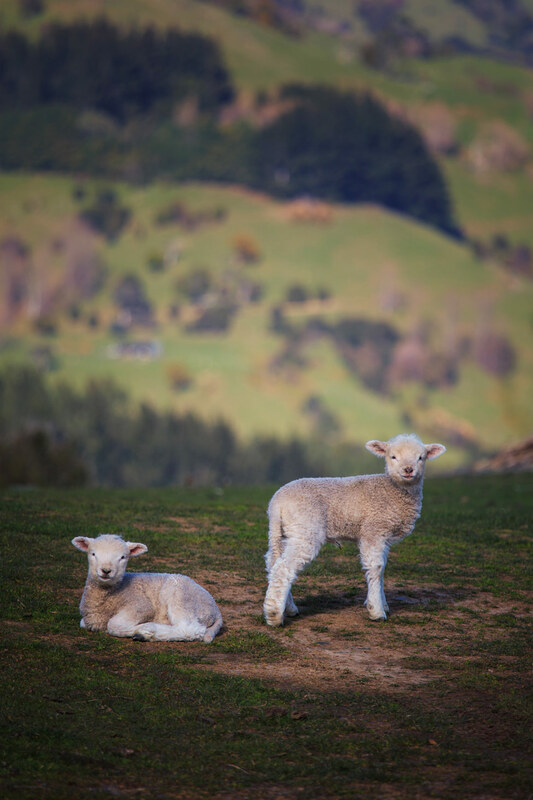 Aw… now I miss NZ and want to go back! I would love to try the camper van experience, especially now that I finally have my license *cough, at 28 years old, cough* and a tad more confidence on the road. I’d somewhat liken it to an overland experience I did in Southern Africa. Albeit we had a guide/driver, but we had the luxury of pulling over wherever we wanted to cook or stay the night. Pretty magical experience and the fresh air serves you well. So great to meet you last night in Calgary. Safe travels. Oh man! It was nearly hit or miss. Calgary drivers are the WORST! These pictures are amazing! 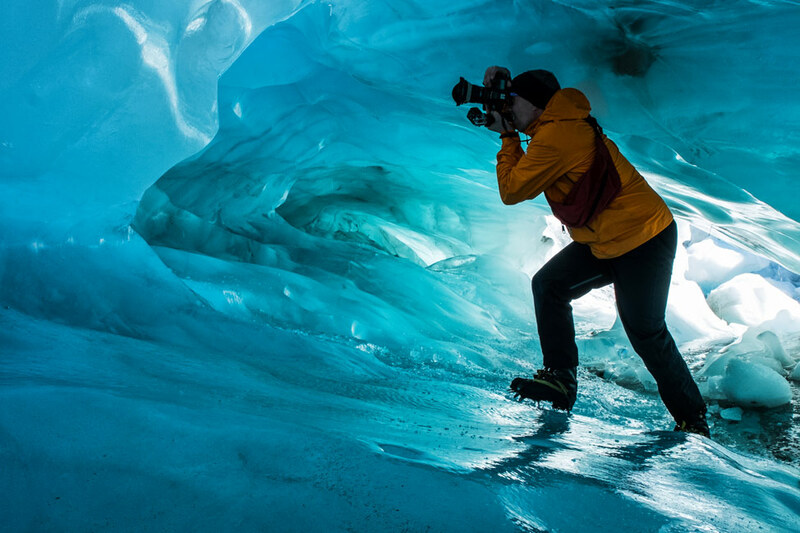 What beautiful landscapes, and how great that you were able to really take advantage of them by traveling this way. 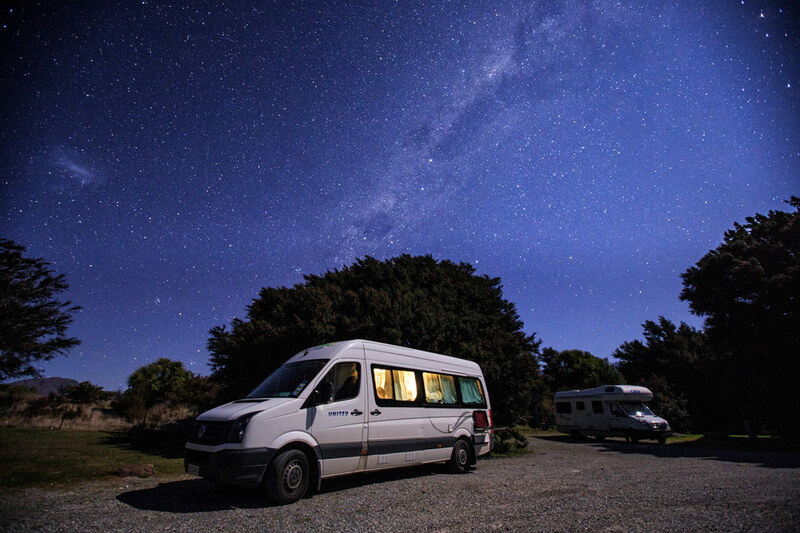 I had never thought of doing a camper trip, but it looks like it might be the perfect way to see NZ in particular. 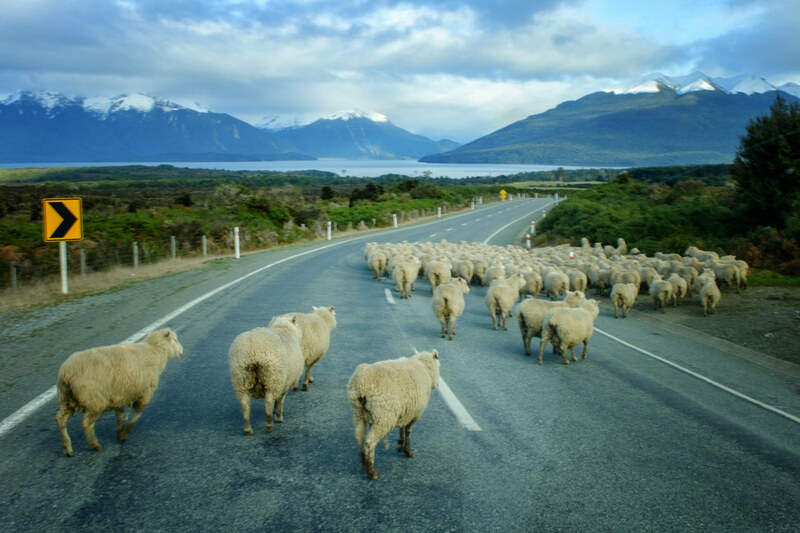 Amazing photos, love the South Island of NZ, making me miss home with all these pics, Especially the one with the sheep crossing the road, haha. That seems like a really fun way to see the country. As a tent camper, this is extra luxurious, too! I’m with you on the sunrise, though…I know there’s magic to be had, but good luck getting me awake for it! What an incredible trip! This is on our bucket list and we have friends going this spring with plans to rent a camper van. I will pass along the info and the 5% discount (thanks for that). Glad to see you liked the camper van lifestyle…perhaps it will be your new favorite way to travel. Funny you should have such a wonderful post re camping, and how you have woven it into your house sitting travels for I am about to do just that as well. I am entering the world of workcamping! In January I will be travelling from my home in Ontario to Georgia, there to volunteer for the Georgia State Parks for three months in exchange for a camp site. I’ve bought an SUV and a little A frame camper, and can’t wait to begin this new adventure. Upon my return in the spring I will return to house sitting, a repeat of where I am now in charge of a dog, a cat, and a peacock! Thank you so much for all you share, you are a huge influence on my decision to step out into this wonderful world of ours. A peacock! Well now, that is an interesting housesitting assignment! Best of luck to you in Georgia! 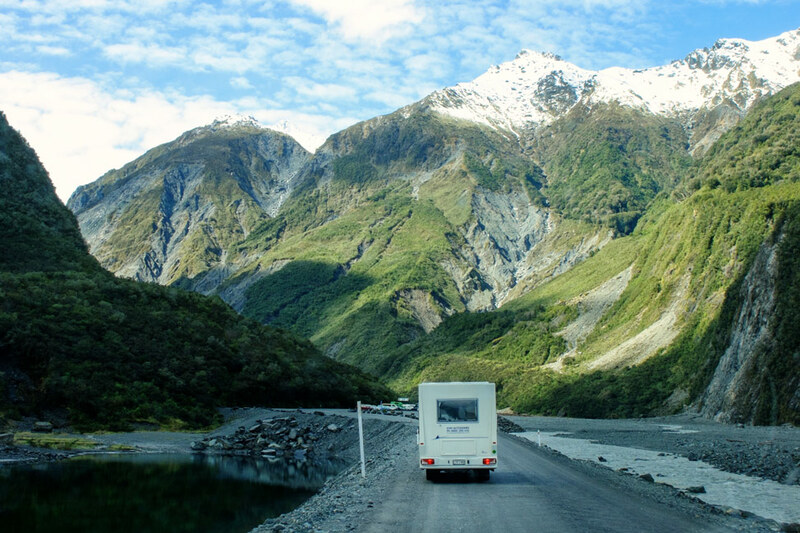 Oh man, Tom and I are going to be in New Zealand driving around the South Island in a camper in LESS THAN A WEEK!! Your post has gotten me so pumped, and given us some good itinerary ideas, thanks! 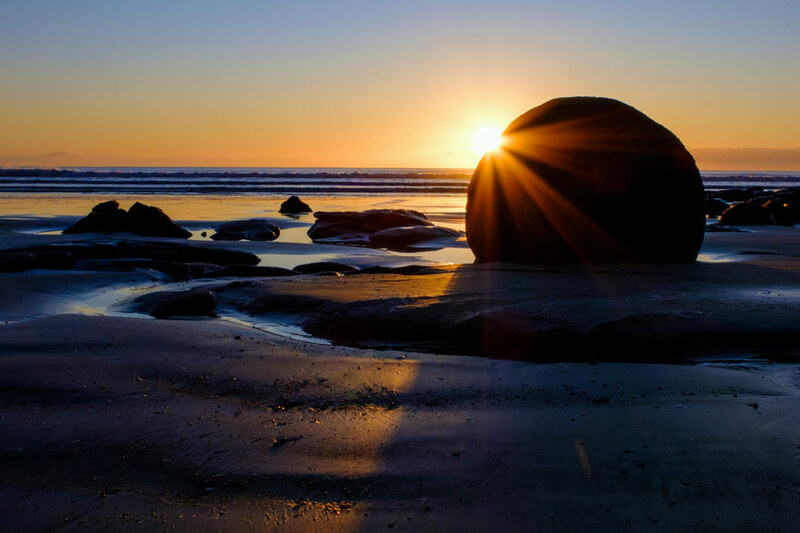 I wish I had seen the Moeraki boulders at sunrise. Don’t get me wrong it was great during the day, quite unbelievable. But those pictures you took confirmed it would have been magical!